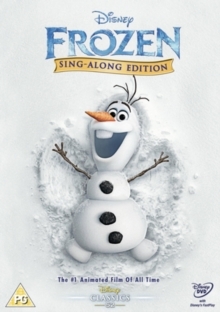 Sing-along edition of the award-winning CGI-animated adventure from Disney inspired by Hans Christian Andersen's 'The Snow Queen' and featuring the voice talents of Kristen Bell and Idina Menzel. Princess Elsa (Menzel), heir to the throne of Arendelle, has special powers that enable her to make snow and ice, which proves to be both a wonderful and dangerous gift. 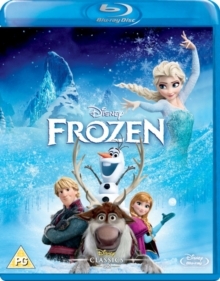 Following an accident that put her younger sister Anna (Bell)'s life at risk, Elsa has been trying to keep her powers under control. 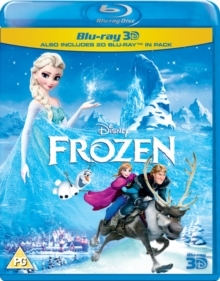 When an incident at her coronation ceremony exposes her magic ability to the citizens of Arendelle Elsa flees and cuts herself off from the rest of the world, but in her emotional state she sets off a spell that casts a perpetual winter over the kingdom. 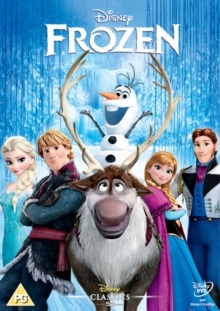 It falls to Anna, with the help of mountaineer Kristoff (Jonathan Groff), his reindeer Sven and a snowman called Olaf (Josh Gad), to journey through treacherous conditions in order to reunite with her sister and find a way to break the spell. 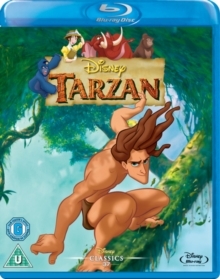 The film won Academy Awards for Best Animated Feature and Best Original Song, and won the Golden Globe and BAFTA for Best Animated Feature Film.